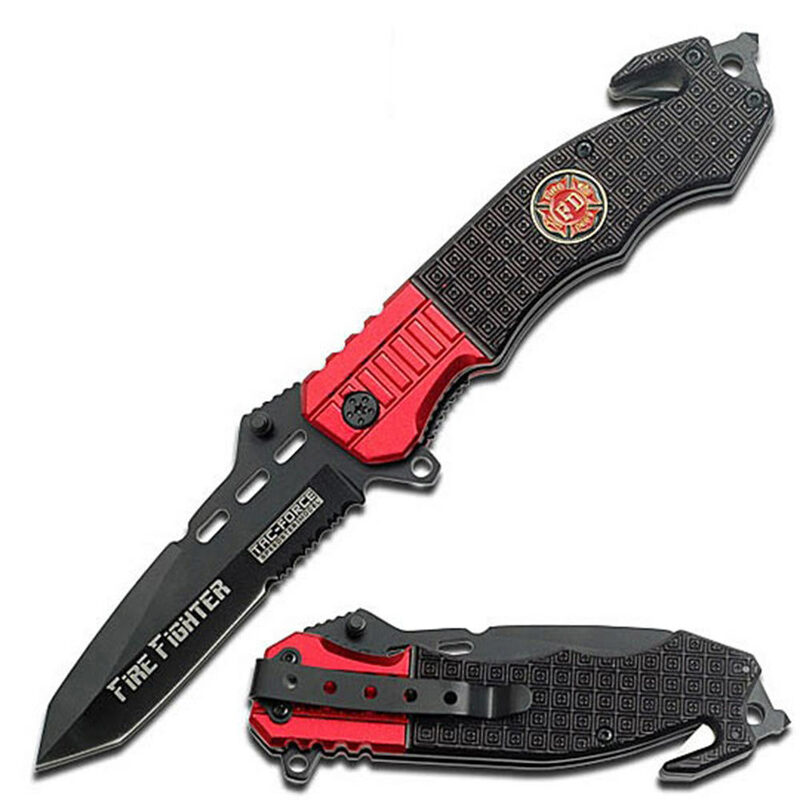 Fast action spring assist knives give you a tactical advantage when every second counts. Quick, one handed opening with inner spring assist. Steel handle w/ two-tone finish & Fire Fighter emblem. Combo window breaker & belt/cord cutter on end of handle. Combo edge, partially serrated blade. Sharpened 440 stainless steel blade with black finish. 8 1/2 in. overall opened, 3 3/4 in. blade, 5 in. closed. How are Spring Assist different from a Gravity Knife or Automatic Switchblade Knife? Awesome knife!! Got this for my father-in-law who is a retired Fire Fighter. Great construction, very sharp and smooth action. Highly recommend this knife and this company! I don't ever recall buying a better knife. This thing is sturdy, looks impressive, and feels REAL (as opposed to my last spring assisted knife.) It might prove to be tricky to open if you have sissy hands, so it's not a lady's knife. This was my first time ordering from TRUE SWORDS, and I am highly impressed. Thank you TRUE SWORDS! Extremely high quality. Easily one of the strongest knives I've ever seen or bought. A little tough to open, but incredibly sturdy and light weight.